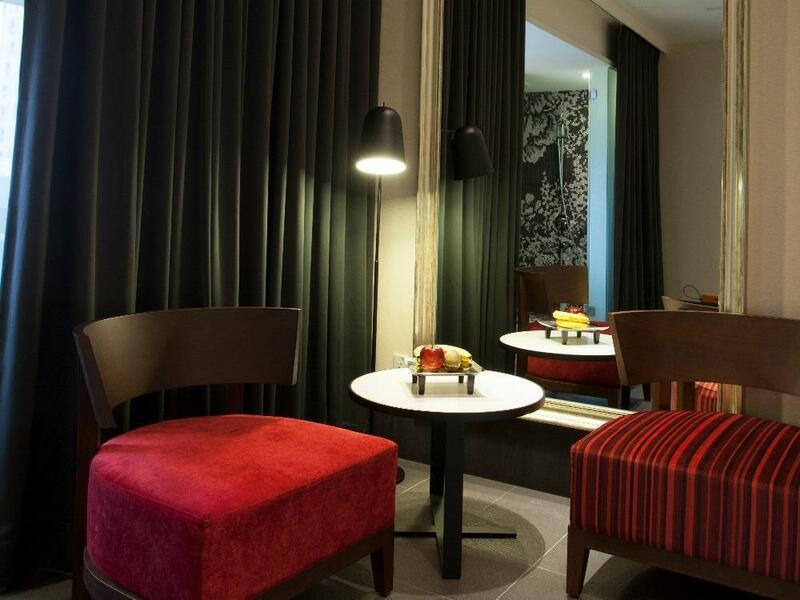 "Nice boutique hotel, friendly staff." Have a question for La Inn? "Location fine (7-11, night market, local restaurants around the corner)." "Nice set of shower supply from l'occitane." "The room is spacious ." 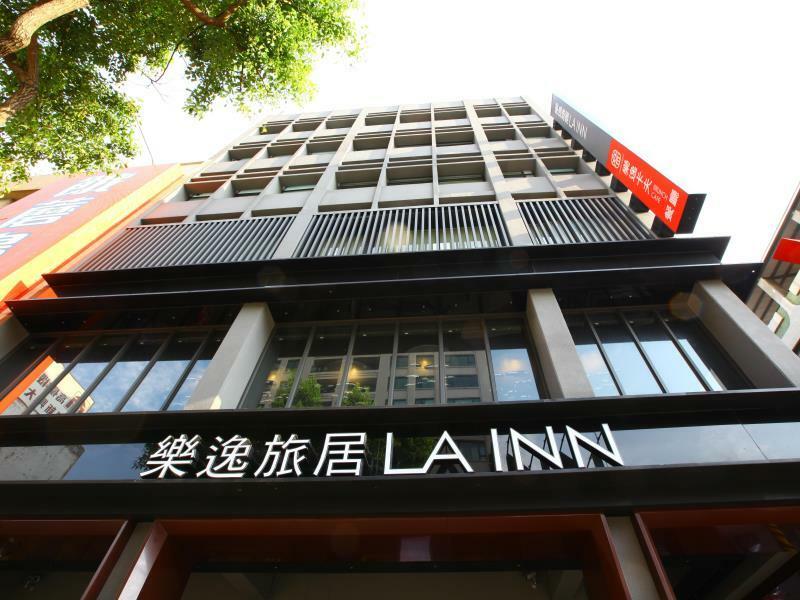 La Inn, located in Sinsing District, Kaohsiung, is a popular choice for travelers. From here, guests can enjoy easy access to all that the lively city has to offer. With its convenient location, the hotel offers easy access to the city's must-see destinations. At La Inn, every effort is made to make guests feel comfortable. To do so, the hotel provides the best in services and amenities. For the comfort and convenience of guests, the hotel offers free Wi-Fi in all rooms, daily housekeeping, grocery deliveries, laundromat, private check in/check out. Guests can choose from 18 rooms, all of which exude an atmosphere of total peace and harmony. Besides, the hotel's host of recreational offerings ensures you have plenty to do during your stay. La Inn is your one-stop destination for quality hotel accommodations in Kaohsiung. "The room is very nice and spacious." Five-minute walk to TRA station & Formosa KRT station, near to night market and easy access to some attraction via KRT. Staff are very friendly, we stayed in bigger room, not used to open WC concept, hotel staff Larry went extra mile to create temporary privacy with shower curtains. Free drinks & snack from 3pm-11pm. The room is very nice and spacious. There is a coin operated laundry machine & dryer at 2F, working perfectly. It has a designated carpark just 50m away and its free for guests. Breakfast is normal but sufficient. Staff is polite, will greet us wherever we go out or come back. The hotel uses shiseido and loccitane hair products and hand soap. Breakfast need to be improved. Location is within 10 minutes walk to liu he night market and Formosa Boulevard station. Overall, it's a pleasant stay in la Inn. Not a big hotel but all facilities were okay. 2/F restaurant served with tea, coffee, ice cream, soft drinks, bread and biscuits (from morning to 11pm?). Love this so much cause we could bring food to the restaurant and enjoy there with drinks. Breakfast was good. Room is clean. Not small though not so big. Near the 美麗島 station (maybe 5 mins walking? Not sure cause we took taxi) Near the breakfast restaurant (早餐店) served with soy milk and traditional breakfast 😍😍. Staff was helpful, close to Japanese style. Hotel provides snacks and free drinks until 11pm at the breakfast area. Small variety of snacks and drinks but good enough. There's a hot pot place about 5 shops away from the hotel and it's heavenly on rainy days. Very cheap too. They provide Shiseido shampoo and shower gel and Loccitane for soap. In love with them. the room is spacious .. location excellent .. near to liuhe night market . breakfast no good.. not much variety..
La Inn is a new hotel just round the corner from it’s “sister” La Hotel. We got a big corner room. The hotel has self-laundry facilities and provides excellent breakfast spread comprising both Taiwanese and Western items. There’s complimentary beverages & snacks from 3 pm till 11 pm. It’s just 5 mins walk to Kaohsiung TRA station and Formosa Boulevard metro station. Had booked a twin room and got room 405. Could not believe this was only a 3* hotel ! What a beautiful, big room ! With 2 double beds, plenty of space to put the luggage on. So many windows. Perfect lighting. Good wifi signal. Small writing desk. Comfortable beds with lots of pillows, very nice, silky bed sheets. Good shower. All usual amenities : shampoo, conditioner, body lotion, bath gel (all from l’Occitane), a comb, a razor, dental floss, a dental kit, shower cap. Also a kettle and 2 bottles of water, coffee and tea. Very agreable breakfast room. Breakfast was quite tasty with enough choices : at least 3 hot items, different sorts of bread, butter and jam, salad, fresh fruit, even ice cream and tarts. Good location : 10 min walk from main station, close to metro and night market. Highly recommendable ! A small and unique hotel located at the corner of the street. We are family travelers with 2 adults and 2 kids and stayed in their family rooms for three nights. The hotel is convenient to access to the night market with just a 10 minutes walk. Room is neat and clean as expected, staffs are friendly. Love the free snacks and ice cream on the second floor! 2nd floor has free coffee,tea & cola + snack from 3pm to 11pm daily for house guest. Big room and a unquie config for WC & shower room. Drip style coffee is full body and nice Bicycle is available for rental from the hotel however it only 3min walk to 7-11 / night market & MRT. Twin bedroom booked. Wifi free and good. Room size big for two. Bathroom with dry and wet area separated. Toilet looks clean, towels without smell. Amenities available. Shower with water flow good. Pillow a little bit soft for me, mattress support ok, and blanket warm enough. Air conditioner functioning well. Free tea and coffee in room. Location a little bit far when you are carrying luggage or bad weather. Breakfast ok but not much choice. However, free soft drink available. Hotel staffs' attitude good. If the quality of the disposable slippers can be better and choice of pillows can be available in the room, then it will be much better. Modern design, separate shower and toilet, and most importantly Loccitane toiletries are the top reasons I selected this hotel. However, the male bespectacled receptionist was not flexible in negotiating for a room with a King size bed. We checked in at 11.30pm and the King bedded room was still available but he refused to assign the room to me. He assigned a room with two doubled beds when there is only 1 occupant. It is also unlikely to have an occupant in the King bedded room at that hour, hence I asked him again to see if he can arrange as I don't mind waiting till past midnight for me to have that King size room. I explained that it makes no sense to give me a room with two double beds when only one person is staying. Staff needs training. Will definitely stay here again if they still maintain their room standards. Staff is very friendly and helpful. Room is very well designed with large comfortable bed. Free snacks and drinks provided by hotel till late evening. Breakfast selection was just basic. Coffee served using fresh coffee beans. Hotel is located close the Formosa KMRT station and the night market Liuhe is just around the corner. One minute to Liuhe night market. Surprisingly spacious rooms, clean too. The staff were really really polite and helpful. We were just impressed, especially the tall guy. He ordered for us a cab for six persons, but the driver refused to move his stuff at the trunk as it was raining. Only four persons could get in. The tall guy (forgot to ask his name) argued with the driver, with patience and politeness! He deserves a promotion:-). Good breakfast. The reasonable pricing comes along with a strategic location. Minutes walk to Formosa boulevard KMRT which is a connection point to most touristy areas (i.e. Yangchengpu to Pier 2 and Kaohsiung Arena to Ruifeng night market). Liu he night market, Small eateries and a local supermarket are around the hotel area. Our room was clean but is a bit noisy coz it is next to the lift. Room of improvement for their pillows which are rather flat. Location fine (7-11, night market, local restaurants around the corner). There is a small parking lot (about 8 parking spaces) in an alley around 2 mins walk, not so convenient. We booked Classic Room (two queen beds) for 3 adults, and the room is surprisingly spacious with comfortable and low-key interior design. Nice set of shower supply from l'occitane. There are free soft drink/ coffee/ tea and snacks from 15:00-23:00 in their dining area, which is really nice. Their dining area is small but modern furnished. Overall this is a satisfactory business stay for us.